Aapo Häkkinen began his musical education as a chorister at Helsinki Cathedral. He took up the harpsichord at the age of thirteen, studying with Elina Mustonen and Olli Porthan (organ) at the Sibelius Academy. From 1995 to 1998 he studied with Bob van Asperen at the Amsterdam Sweelinck Conservatory and from 1996 to 2000 with Pierre Hantaï in Paris. He was also fortunate to enjoy the generous guidance and encouragement of Gustav Leonhardt. Immediately after obtaining his diploma in 1998, Aapo Häkkinen won second prize and the VRT prize at the Bruges International Harpsichord Competition. He was also awarded the Norddeutscher Rundfunk special prize Musikpreis 1997 for his interpretations of Italian music. Aapo Häkkinen has appeared as soloist in Scandinavia, Holland, Belgium, France, Germany, Austria, Switzerland, England, Ireland, Luxembourg, Italy, Spain, Portugal, Russia, Hungary, Poland, Slovenia, Croatia, Czechia, Slovakia, Bulgaria, Estonia, Turkey, Israel, the United States, Mexico, Brazil, Japan, Korea, and Vietnam, Festival de La Roque-d'Anthéron, Konzerthaus Berlin, Dresdner Musikfestspiele, Göttinger Händel-Festspiele, Kölner Philharmonie, Rheingau Musik Festival, Bachfest der Neuen Bachgesellschaft, London Lufthansa Festival, Wigmore Hall, Utrecht Early Music Festival, Flanders Festival, Bergen Festival, Eszterháza Haydn Festival, Washington Library of Congress, St Petersburg Early Music Festival, Warsaw Philharmonia, Cracow Philharmonia, Forum Musicum Wroclaw, Madrid Auditorio Nacional, Festival de Música Antigua de Sevilla, Culturgest Lisbon, Gulbenkian Música, Centro Cultural de Belém, Musik Meran, Bolzano Festival, Israel Festival, Tokyo Suntory Hall, Musashino Cultural Foundation, Hyogo Performing Arts Center, Pyeongchang Festival, Tongyeong Concert Hall, Festival Internacional Cervantino, Kuhmo Chamber Music, Helsinki Festival, and Helsinki Flow Festival. Aapo Häkkinen is also known as a distinguished chamber musician and director (Musica Aeterna, Orchestra del Teatro Olimpico di Vicenza, Orquestra Metropolitana de Lisboa, Os Músicos do Tejo, Croatian Baroque Ensemble, Tampere Filharmonia, Tapiola Sinfonietta, Ostrobothnian Chamber Orchestra, Chamber Orchestra of Lapland, Jyväskylä Sinfonia, Espoo Baroque, Tirgu Mures Philharmonic Orchestra and Choir, Novosibirsk Philharmonic Chamber Orchestra, Vietnam National Symphony Orchestra, Tallinn Baroque Orchestra, Cork Baroque Orchestra, Eric Ericson Chamber Choir, Estonian Philharmonic Chamber Choir, Helsinki Chamber Choir, Key Ensemble, Voces Caelestes) in collaboration with artists such as Reinhard Goebel, Monica Groop, Ilya Grubert, Werner Güra, Pierre Hantaï, Erich Höbarth, Soile Isokoski, María Cristina Kiehr, Topi Lehtipuu, Julia Lezhneva, Riccardo Minasi, Alexander Rudin, Carolyn Sampson, and Dmitry Sinkovsky. He has conducted the modern premiere of Koželuch's Gustav Wasa, Handel's Acis and Galatea (dir. Vilppu Kiljunen) and Haydn's L'Isola disabitata (dir. Johanna Freundlich) for the Finnish Chamber Opera, Carissimi's Jephte (dir. Juha Mustanoja) for Kokkola Opera, Pergolesi's La Serva padrona (dir. Ozren Prohić) for the Croatian National Theatre, Handel's Alcina (dir. Vilppu Kiljunen) for Vaasa Baroque, Telemann's Pimpinone (dir. Ville Saukkonen) for Rovaniemi Korundi, and Monteverdi's L'Incoronazione di Poppea (dir. Vilppu Kiljunen) for the Finnish National Opera. Aapo Häkkinen has recorded for the labels and for numerous European radio and television companies. A writer and broadcaster about many aspects of the early music world, Häkkinen hosts his own programme on Classic FM in Finland. Besides the harpsichord, he regularly performs on the organ, on the clavichord, and on the fortepiano. He has commissioned, given premières, and recorded music by Lucio Garau, Eero Hämeenniemi, Mário Laginha, Jyrki Linjama, Jukka Tiensuu, and Tapio Tuomela. Aapo Häkkinen has edited a series of 17th century Florentine keyboard music for Ut Orpheus Edizioni. 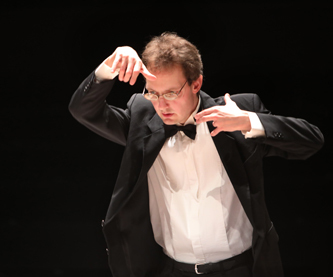 He teaches at the Sibelius Academy and at international masterclasses (Tokyo University of Arts, Universidad Nacional de México, Kulturstiftung Marienmünster, Bratislava, Sofia, Tallinn, Tampere, Turku, Zagreb Academies of Music). He is Artistic Director of the Helsinki Baroque Orchestra and of the Helsinki Musiikkitalo Early Music Series as well as the Janakkala Baroque Festival.